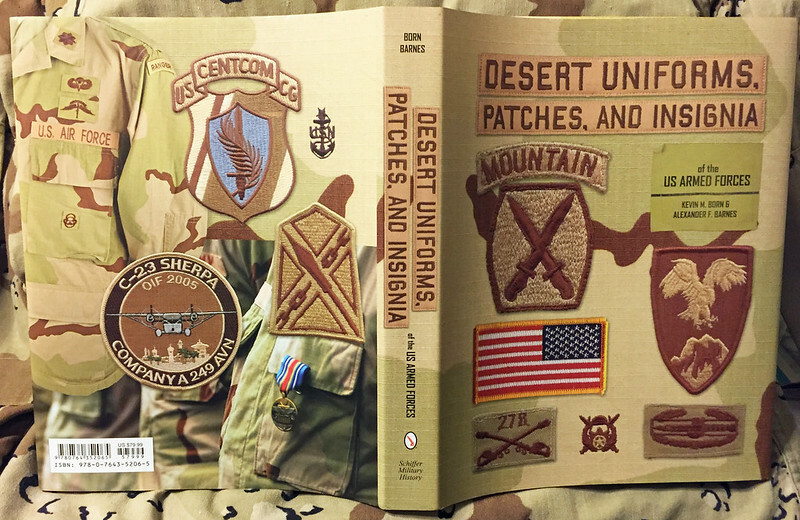 For those who collect shoulder sleeve patches and have collected the short lived Desert Subdued insignia that the US Military wore for a short period of time, you may want to reserve a copy of this new book set to come out in December. 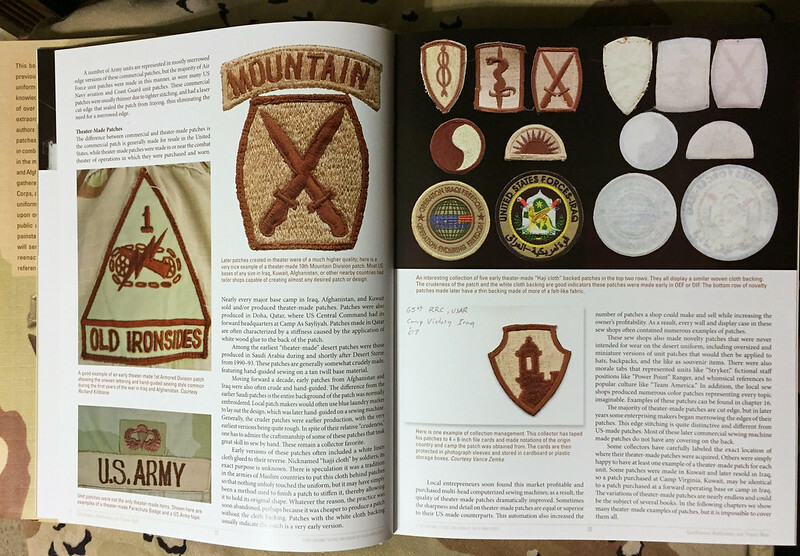 This book will cover quite a few of the well known desert colored insignia that was worn. One of the authors Kevin is a Berlin Brigade Soldier and a friend. I expect this to be a top shelf addition to any reference library. Below is a link to the information about his upcoming book.. Interesting...but at £68.99 / $92.00 cheap it ain't!! There may not be another printed on this topic. Agree it is a little pricey but I have discovered that Schiffer books are usually priced high but are of excellent detail and quality..
Will advise when I get my copy in December.. Thanks Leigh. I've got a bunch of Schiffer books...all lavishly illustrated hardbacks of top quality...and all top dollar!! 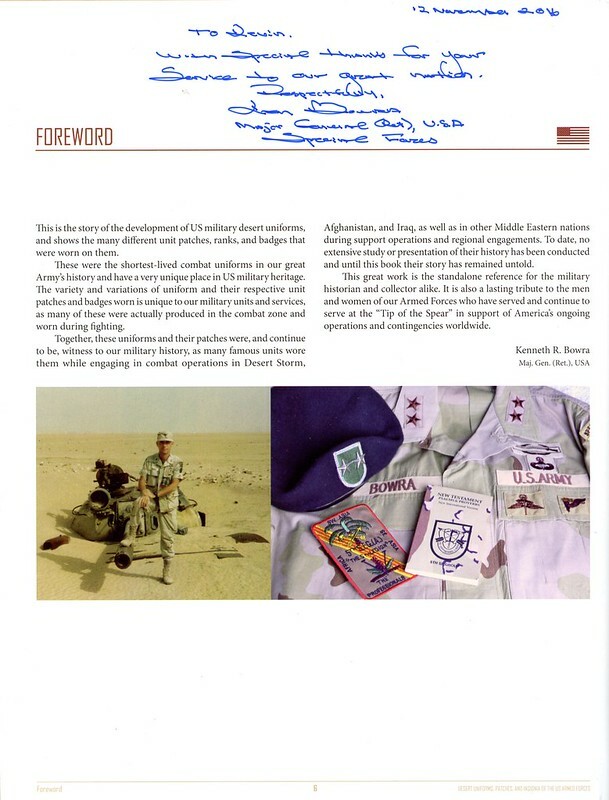 Smitty - Al and I do appreciate you mentioning our new book "Desert Uniforms, Patches, and Insignia of the US Armed Forces". 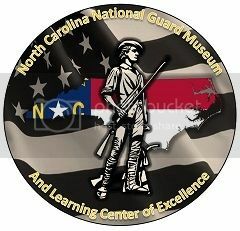 We had great support from collectors here in the US as well as in Europe in providing material for the book. In fact images for some of the hardest to find desert uniforms came from collectors in the UK, Belgium, and Netherlands. 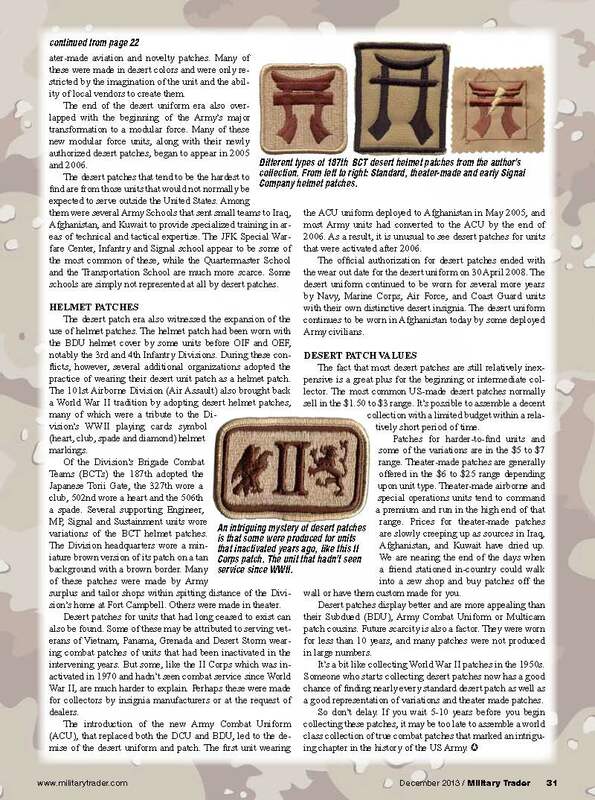 Kevin and I have shared many pages in Military Trader and his articles on insignia are always thoroughly detailed and well presented. 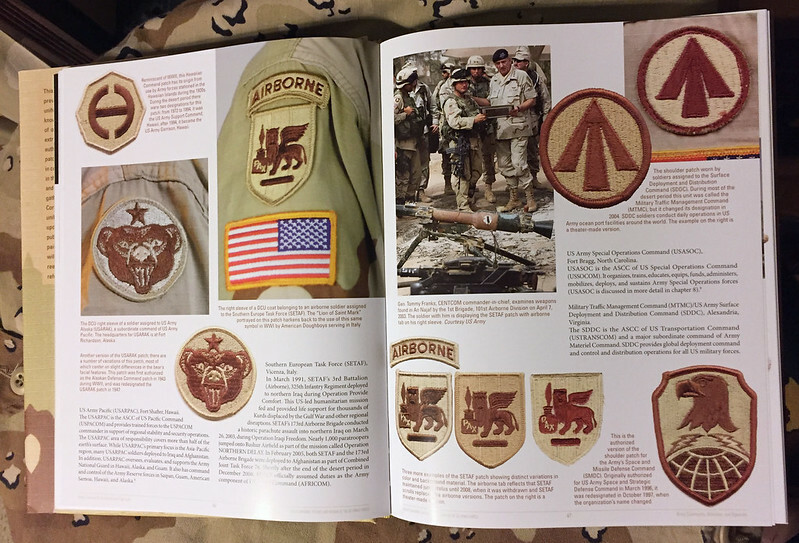 I am sure that the information contained in the book will be worth every penny spent for those that want to collect desert insignia. It is worth mentioning that this is sure to be a huge area of collecting in the future given the relatively short time that desert insignia was used and the multiple varieties available. Like theater made items from previous wars, these will climb in price and desirability as time goes on. Even now, many ssi from Iraq and Afghanistan are fetching decent money compared to the length of time it took for WWII ssi to appreciate in terms of similar value. I am counting the days until mine comes in the mail.. Looking forward to this book..
Scott - Your kind words are much appreciated. 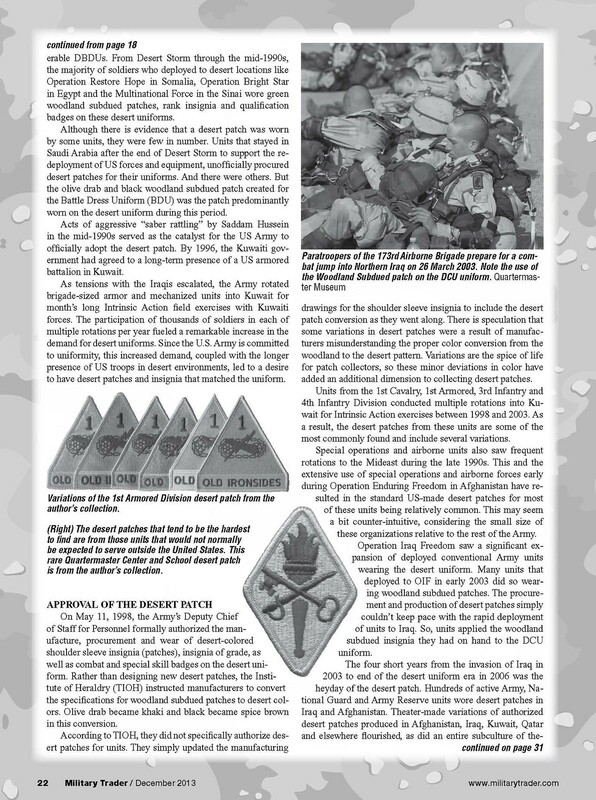 I always enjoy your articles in the Military Trader as well. 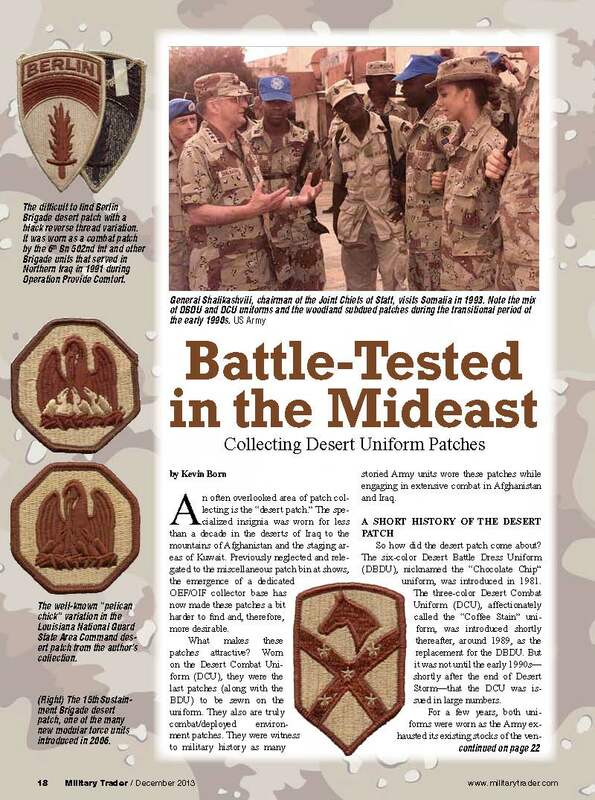 It was actually one article I did in MT back in 2013 titled, "Battle-Tested in the Mideast; Collecting Desert Uniform Patches" that inspired our book. I've included it below. 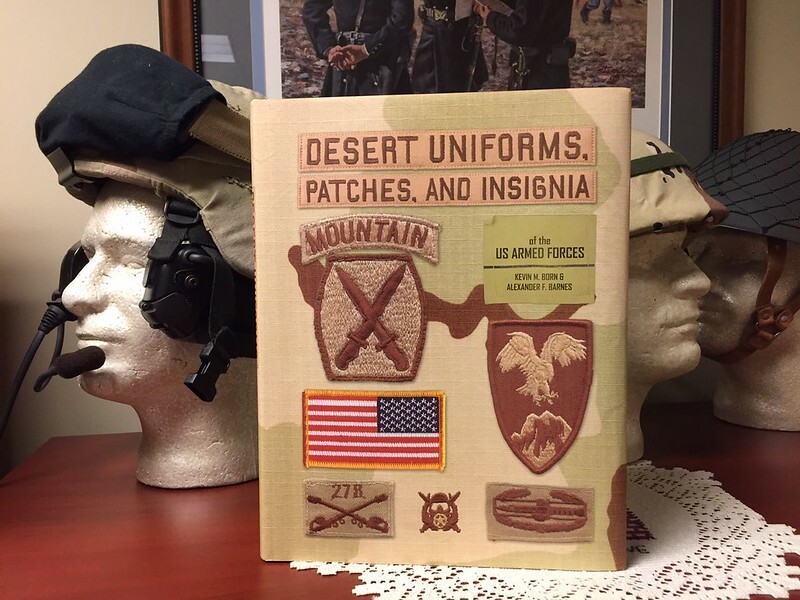 An update on the book, last week my coauthor Al and I have each received our author's advance copy of "Desert Uniforms, Patches, and Insignia of the US Armed Forces" in the mail. We are very excited as the book turned out even better than we expected! It’s 344 pages over 1,100 photos and packed with information it has something for nearly everyone. The release is on 28 December, just over a month away. 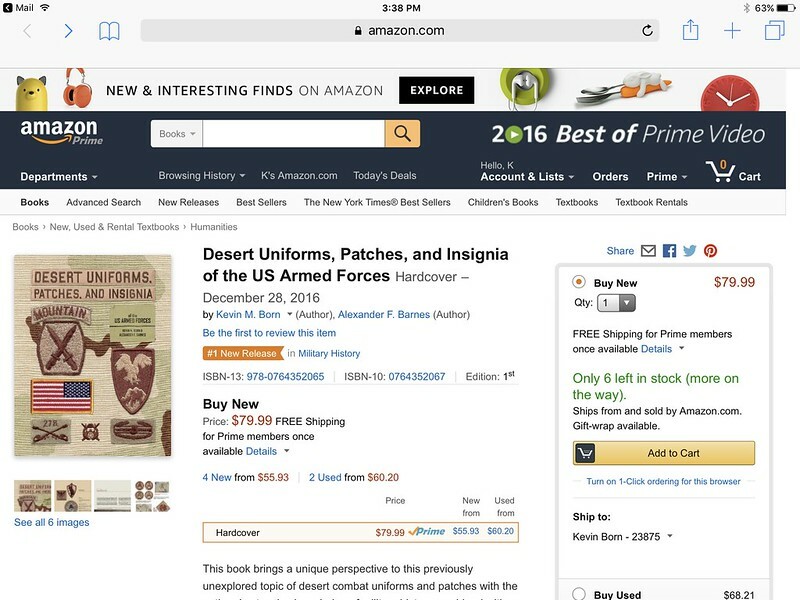 The book is being sold by Amazon.com worldwide (www.amazon.com/Desert-Uniforms-Patches-Insignia-Forces/dp/0764352067) however most major booksellers are taking pre-orders. It must be great to finally see it in print Congratulations to you both! Congrats! Looks like a fine piece of work and one destined to find a place on many a collector's bookshelf! Tom, Much appreciated! David, thanks much, it's great to finally have a copy of the book in hand, it makes all those months of work worthwhile. For those of you in the US, Amazon has a $10 discount on all books $25 or more thru 28 Nov, which can be used when purchasing "Desert Uniforms, Patches, and Insignia of the US Armed Forces" Just use "HOLIDAYBOOK" at checkout under the "Gift cards & promotional codes" section to receive the $10 discount. 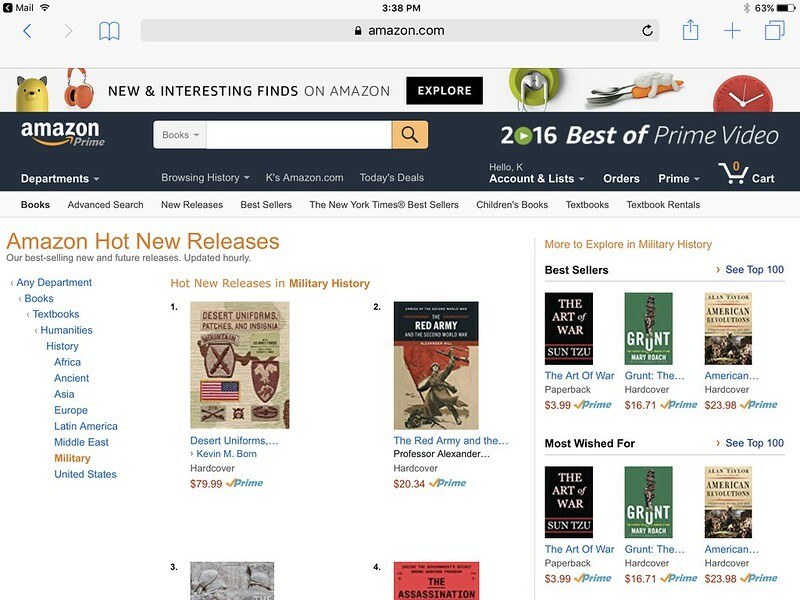 Looking forward to seeing the contents of the book and will give you guys and gals a full report..
Amazon just listed our book "Desert Uniforms, Patches, and Insignia of the US Armed Forces" as their #1 new hot release in their Military History category!